Because You Deserve to Have IT ALL. 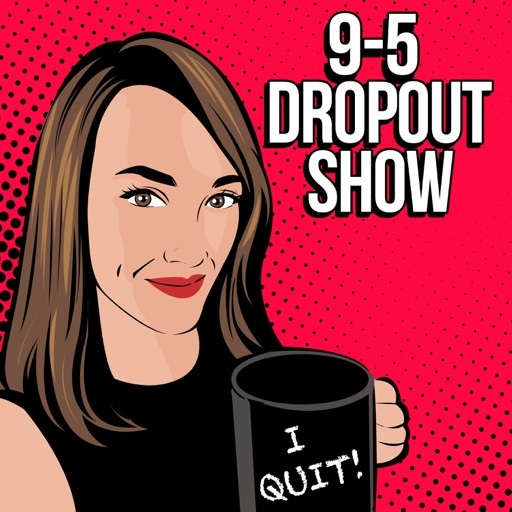 Welcome to the 9 to 5 Dropout Show where you learn from leading experts how to quit your job and successfully start your own business. With your host, Author, Owner of Mind Body & Spirit Entrepreneur and Creator of the 9 to 5 Dropout Academy, Rachael Thompson. Rachel is ahead of her time. A deep soul, leading edge. Love her voice. Rank #2: [9-5] # 1: Welcome All Future & Current 9-5 Dropouts! In today's episode, expert Andrew Lermsider covers everything you need to know for a successful business. Learn what he did to gross over $600 million for his own online businesses and those of his clients. If you are starting an online business, you need to hear these tips! Where to find Andrew: Website: www.andrewlermsider.com Social Media Links: www.Instagram.com/andrewlermsider www.facebook.com/andrewlermsiderofficial www.twitter.com/andrewlermsider Get FREE 10 Steps To Start Your Business Checklist: https://www.mymbse.com/p/10-steps-to-start-your-business-1 Enroll in 9-5 Dropout Academy: https://www.mymbse.com/store/UBmqLkX3 More about Andrew: Andrew Lermsider knows the exact steps needed to rapidly increase the sales of any company selling a product or service online. Lermsider, a renowned marketing expert, featured on the cover of “Response Magazine” has generated over $600 million dollars online for his own businesses and clients. INTERVIEW TOPICS • 3 key fundamentals that can triple the web sales of any business • Why posting so often on social media no longer works and what big companies do • Learn how small conversion improvements can increase your sales volume 50% • Testing can save your business from losing boat loads of cash • How user experience has become more important than ever before. • 8 email marketing hacks every entrepreneur needs to know. • Follow- up marketing is the key to your success. • Question based selling is the answer • It’s not all about Facebook. Google crushes it using their automation • Monetize your way to an entrepreneurial empire. • Why Facebook ads fail for so many businesses. They are not looking for you. © 2019 OwlTail All rights reserved. OwlTail only owns the podcast episode rankings. Copyright of underlying podcast content is owned by the publisher, not OwlTail. Audio is streamed directly from Rachael L Thompson servers. Downloads goes directly to publisher.